Mark your calendar! This year on Saturday, September 14, 2019 we are hosting our 10th Annual FALDP Conference. We are celebrating our journey – where we started, where we are now, and where we're going – as a group, as document preparers and as business owners. The FALDP mission is a journey. We have only begun, there is much to do. We hope that the confidence gained through education and knowledge will empower consumers, so they may have a fighting chance to enforce or pursue their rights in a court of law. It's not about the destination, but the joy of the journey. When & Where: Our conference will be at the Fountain Beach Resort in Daytona Beach on September 14, 2019 – 9:00 – 5:00. 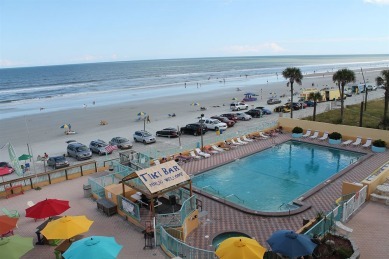 Fountain Beach Resort is located at - 313 S Atlantic Ave, Daytona Beach, FL 32118 Details of our agenda will be posted soon. Cost - $95. for the conference. Accommodations at the Fountain Beach Resort will be discounted to only $69. per night for conference attendees. *We'll post a conference registration form well in advance of the conference. To mark the special occasion as our 10th Annual Conference, we're adding another event. Please come if you can. On the evening of September 13, 2019 we're inviting all conference attendees to join together for a dinner cruise on the Halifax. Cost is $29.95 per adult, discounts for children. Please visit the Dine and Cruise website for full details and to make your reservations independently. Please visit the Riverboat Cruise site to make your reservations and learn more. We will be doing a 2 hour dinner and river cruise on our beautiful Paddle Wheel Boat. Dinner is served ON the boat. The boat will leave promptly at your scheduled cruise time so please arrive between 45 minutes to 1 hour BEFORE your scheduled cruise to check in. LARGE GROUPS should come 1 and 1/2 Hours and ALL TOGETHER to check in if you want to sit all together. We begin boarding 1/2 hour before.There is NO reserved seating. It is FIRST come FIRST serve. IF YOU ARE NOT THERE IN TIME, THE BOAT WILL LEAVE WITHOUT YOU AND THERE ARE NO REFUNDS FOR MISSED CRUISES. FALDP logo: As of our last conference in October we decided that all members who have a website are required to display the FALDP logo on their sites. We are making a special marketing effort to distinguish FALDP members from document preparers who are not FALDP members. The goal is to show the world that FALDP members are the best possible choice for document preparation. Maintaining FALDP Certification – FALDP Certified members please make sure you have earned at least 10 CEU's prior to renewing your membership. We have always had this as a requirement, but have not fully enforced it until now. A list of ways to earn Continuing Education Units (CEU's) is on our site here - Certification Information. We also allow members to earn CEU's through activities related to our industry outside of our association. These can include attending conferences, webinars, etc; and public speaking. We've added a couple of additions to our site. The first one is the addition of a new designation and badge that members can have placed alongside their listings on the county membership directory. In the coming months we'll be adding the designation to member's county listings who meet all criteria. 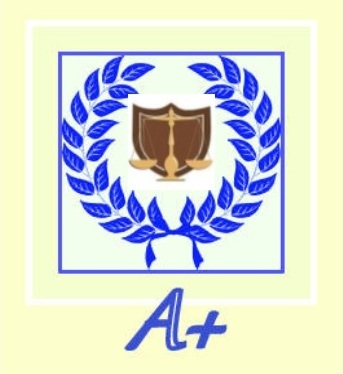 This is the A+ Blue Ribbon badge. Have a business website. A business Facebook page, or a Mini-page on our site, are good to have, but do not count as websites. Pricing transparency. Display pricing on your website. At minimum, display a price range for a certain type of document preparation. For example - divorce document preparation $200 - $450. depending on your situation. logo displayed on site – preferably on home page or About Us page. Preferably at least 200 x 200 pixels; or the same size or larger than any other membership logos displayed. (Displaying our FALDP logo on your site became mandatory as of our conference in October 2018). Have a listing in the FALDP Member Directory - a place holder that we put up that shows only your contact information is not enough. Knowledge of the forms you prepare and next steps. Clear policies posted on your website, in contract, and/or posted in their office. To include turn around time frame, refund policy, disclaimers, etc. Physical address or PO Box posted somewhere on your site. Information about business structure – corporation, partnership, sole proprietorship, or limited liability company. Site is in English or primarily in English. If in another language, either translated on the site or a translate this page button appears. If a Certified Member - up to date on all CEU's. Completed Avoid UPL! course and reviewed the course material at least once every year. This becomes official when our renewal period begins (early renewal begins April 1), and as we update the membership listings if you have all of these things in place, the A+ Blue Ribbon badge will be added to your listing. 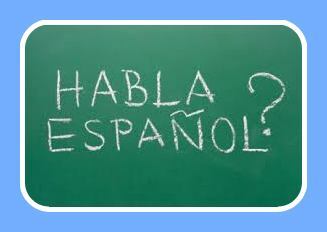 We added a sign up sheet inside the Members Only area where Spanish speakers can sign up to be included on the Spanish Speaker's Directory.We only have a few listed, so Spanish speakers, what are you waiting for? A simple way to increase your business exposure. If you've forgotten the login for the Members Only, just send an email to request it. I've been following the TIKD UPL case since its beginning back in 2017. In January of this year the Supreme Court Referee issued a recommendation which is quite favorable for TIKD. I think every document preparer should be familiar with this case. Following are some excerpts from the referee's report [references omitted]. In those jurisdictions where TIKD provides services, a person who has received a traffic ticket can request TIKD’s services by uploading a picture of the ticket and creating an account. TIKD then performs an internal analysis on the uploaded ticket, not disclosed to the driver, before agreeing to provide its services to the driver. In the process of deciding whether to accept a ticket, TIKD does not give the driver any legal advice or tell the driver about available defenses or the likelihood of a fine. Id. If TIKD declines the ticket, it notifies the driver and the driver is not charged. If TIKD accepts the ticket, the driver is charged a percentage of the face amount of the ticket. Id. The customer can make a onetime payment or pay in monthly installments. The driver makes no other payments. In exchange for the one-time charge to the driver, TIKD (1) pays an independent licensed Florida attorney who contracts separately with the driver and defends the driver’s ticket in court; (2) pays any fine and/or court costs imposed against the driver, if the ticket is not dismissed; and (3) provides the driver a full refund if any “points” are issued against the driver’s license, while still paying any court costs and/or fines. TIKD does not guarantee any outcome. Specifically, TIKD does not guarantee that a ticket will be dismissed or that drivers will not receive points on their licenses. TIKD does not give legal advice or provide legal representation to ticketed drivers. All legal representation and advice is provided by licensed Florida attorneys who do ticket defense in their private practice and who are not employed or controlled by TIKD. On behalf of the ticketed driver, TIKD pays the lawyers a flat fee per ticket defended, regardless of outcome, and TIKD does not receive any fees, payments, or other compensation from these independent lawyers. After accepting a ticket, TIKD contacts a licensed Florida attorney and provides the driver’s contact and ticket information. The attorney is then free to accept or decline the representation. If the attorney declines, TIKD may send the customer information to another 8 independent attorney. Id. If no attorney accepts, TIKD notifies the customer and provides a full refund. 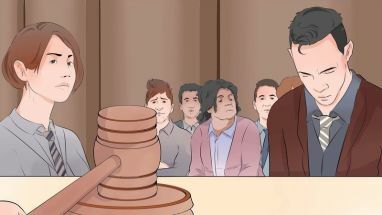 If the attorney accepts the representation, the attorney contacts the driver directly and provides a representation letter drafted by the attorney. The driver is free to decline the attorney’s representation for any reason. If the driver declines, TIKD provides a full refund. The Florida Supreme Court has not promulgated a comprehensive definition of “the practice of law,” concluding that “any attempt to formulate a lasting, all encompassing definition of ‘practice of law’ is doomed to failure ‘for the reason that under our system of jurisprudence such practice must necessarily change with the everchanging business and social order.” Fla. Bar v. Brumbaugh, 355 So. 2d 1186, 1191-92 (Fla. 1978). The purpose of prohibiting UPL is “to protect the consuming public from being advised and represented in legal matters by unqualified persons who may put the consuming public’s interests at risk.” Fla. Bar v. Neiman, 816 So. 2d 587, 597 (Fla. 2002). This is “the single most important concern in the Court’s defining and regulating the practice of law.” Fla. Bar v. Moses, 380 So. 2D 412, 417 (Fla. 1980). After a careful review of the portions of TIKD’s website submitted by The Florida Bar and TIKD’s Terms of Service, including the FAQ’s and the prominent disclaimers in the Terms of Service, I find that the materials do not constitute legal advice, and do not represent that Respondents are attorneys or competent to handle legal matters. TIKD provides a service and its customers pay for the convenience the service offers. No reasonable person could conclude, based on the evidence submitted to the Referee, that TIKD or Riley hold themselves out as providers of legal services. We have 398 signatures - help us reach 500!